In this extraordinary novel in letters, an Indian immigrant girl in New York City and a Kentucky coal miner's son find strength and perspective by sharing their true selves across the miles. Meena and River have a lot in common: fathers forced to work away from home to make ends meet, grandmothers who mean the world to them, and faithful dogs. But Meena is an Indian immigrant girl living in New York City's Chinatown, while River is a Kentucky coal miner's son. 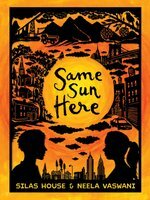 As Meena's family studies for citizenship exams and River's town faces devastating mountaintop removal, this unlikely pair become pen pals, sharing thoughts and, as their camaraderie deepens, discovering common ground in their disparate experiences. With honesty and humor, Meena and River bridge the miles between them, creating a friendship that inspires bravery and defeats cultural misconceptions. 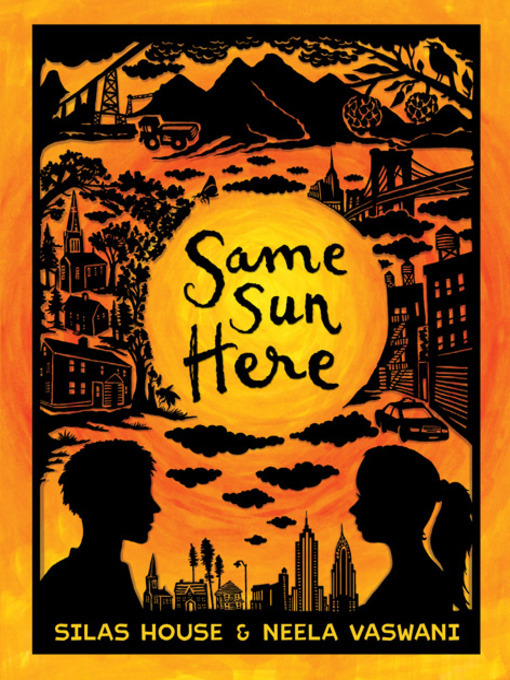 Narrated in two voices, each voice distinctly articulated by a separate gifted author, this chronicle of two lives powerfully conveys the great value of being and having a friend and the joys of opening our lives to others who live beneath the same sun. Silas House is the nationally best-selling author of Eli the Good as well as the award-winning novels Clay's Quilt, A Parchment of Leaves, and The Coal Tattoo. He is an associate professor at Berea College and lives in eastern Kentucky. Even better than reading a refreshingly honest story by one talented writer is reading one by two such writers. House (Eli the Good) and adult author Vaswani (Where the Long Grass Bends) alternate between the voices of Meena—a 12-year-old girl who lives with her recently immigrated Indian family in New York City—and River, who lives with his environmental activist grandmother in rural Kentucky. The two connect as pen pals, and their letters reveal the unusual intersections (like okra) and the stark contrasts in their lives. The preteens reflect on everything from prejudice and religion to politics and music, but their voices are so open, true, and even humorous that the story never feels heavy or preachy (“You are the best person I know,” River writes. “But I’m sorry, I still don’t like to talk about shaving your legs and all that. That is something we will have to agree to disagree on”). Meena and River don’t have all their troubles worked out by book’s end, but readers will feel confident that their friendship will get them through whatever lies ahead. Ages 9–up. Copyright 2012 School Library Journal, LLC Used with permission. COPYRIGHT(2012) Kirkus Reviews, ALL RIGHTS RESERVED.